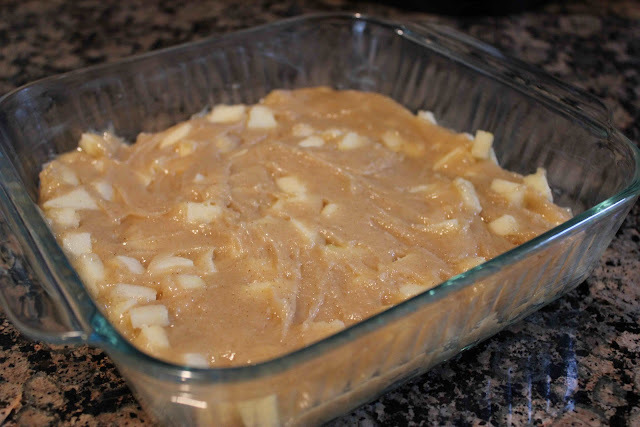 I’ve been craving a fall-like dessert using apples such as apple pie, apple bars or apple crisp, but I wanted something easy-to-make, semi-healthy, and didn’t call for a lot of ingredients. I love apple pie, but the crust has so much butter, aka fat, that I really didn’t want to eat it for fears of “getting fat!” In addition, most apple pie recipes call for 6-8 apples, and I was not in the mood to peel and slice that many apples! 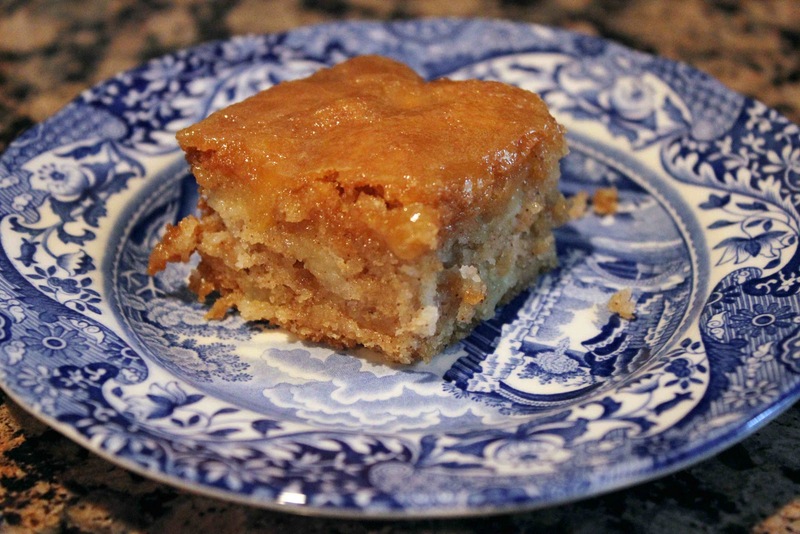 My search was over when I discovered Lick the Bowl Good‘s new blog posting of Fresh Apple Cake with Brown Sugar Glaze. The cake was described as moist and buttery, despite there only being 3 tablespoons butter in the recipe. She said that the glaze settled in nicely as it slightly soaked into the cake and reminded her slightly of a caramel apple. I had to make it! Well, we were all in luck! The cake turned out wonderfully and is now one of my new favorites. Tony, the Irishman who stayed with us, had two slices of my cake! I probably had 2-3 slices before Sunday was over, and the cake was gone by today! I strongly encourage you to bake this cake. It is extremely easy, there is little clean-up, and more than likely, you’ll have all the ingredients in your pantry. Enjoy! Peel, core and finely chop 1 1/2 cups of apple. Mix together eggs, oil, vanilla. Stir in flour mixture until combined. Fold in apples and nuts (optional). 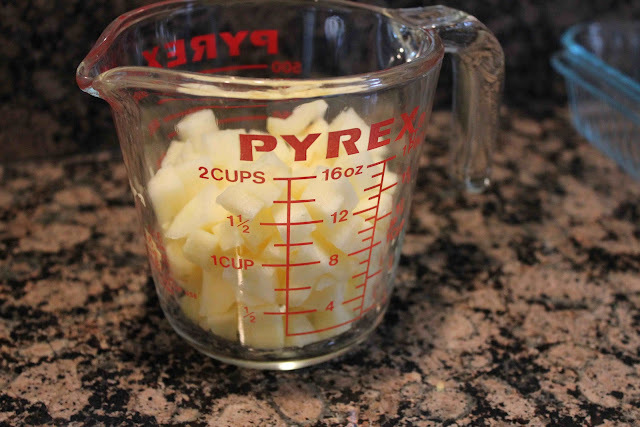 Pour batter into greased 8-inch square pan. Bake for 35-40 minutes in a 350 degree oven until browned and toothpick comes out clean from the center of the cake. Meanwhile, heat brown sugar, butter, vanilla, and heavy cream in a saucepan over medium heat. Bring to a gentle boil. Pour glaze over hot cake. Let cool completely before serving. 1. Heat the oven to 350 degrees F. Grease 8-inch pan (round or square) and set aside. 2. 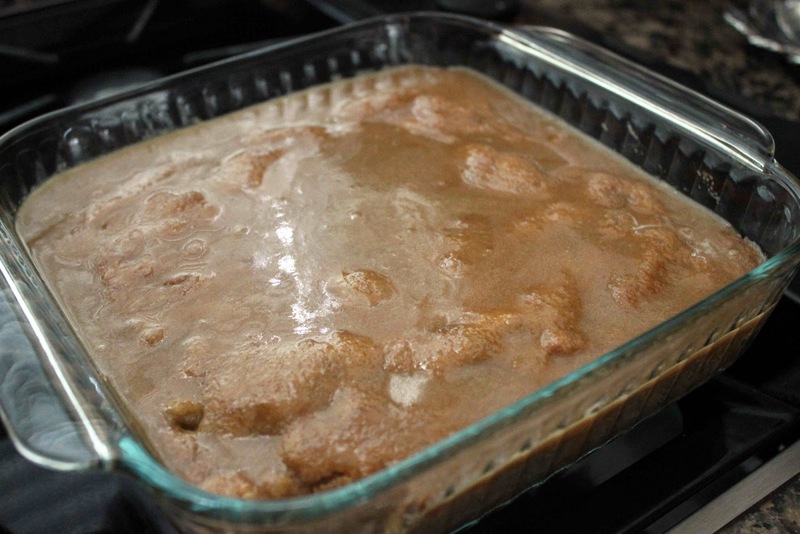 In a medium bowl, combine the flour, sugar, baking soda, salt, and cinnamon. Stir with a whisk to mix everything together. 3. In a large bowl, mix the eggs with a hand mixer (I used a stand mixer with paddle attachment) until light in color and foamy. Add the oil and vanilla and beat well. 4. Stir in the flour mixture with a spoon and continue stirring the batter until the flour disappears. 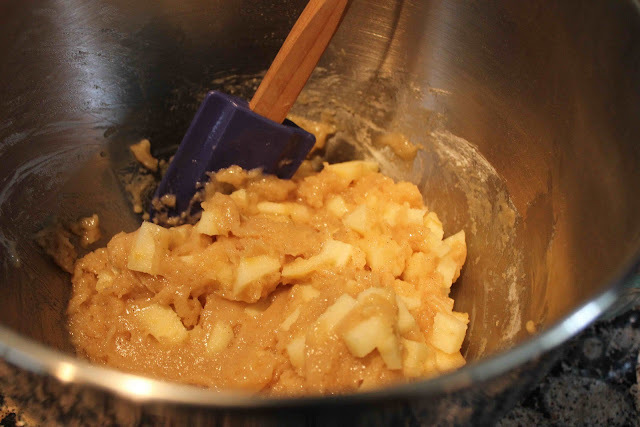 Add the apples and nuts (if using) and stir to mix them into the batter. 5. Scrape the batter into the prepared pan and bake for 35-40 minutes, or until a toothpick inserted in the center comes out clean. 6. Place the hot cake on a wire rack. While it’s still hot, prepare the glaze. 7. Combine all the ingredients into a saucepan. 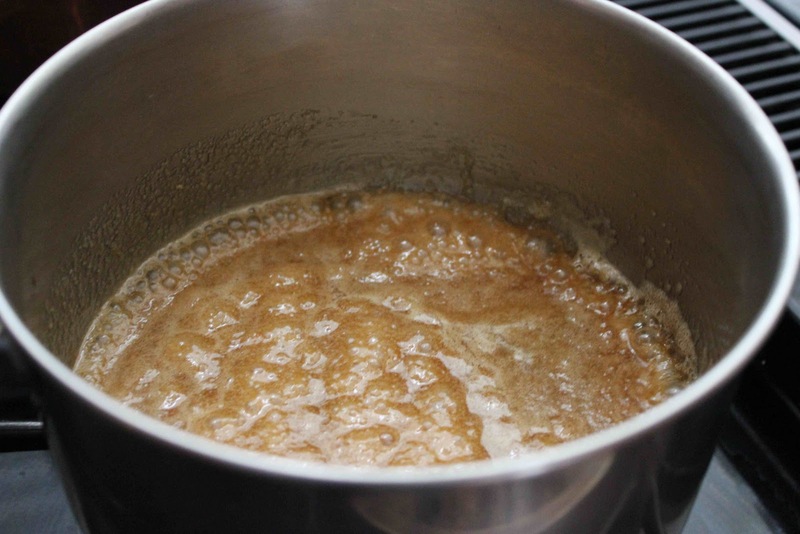 Cook over medium heat, stirring often, until the mixture comes to a gentle boil. 8. Spoon the hot glaze over the still hot-from-the-oven cake. Let the glazed cake cool completely before serving straight from the pan.